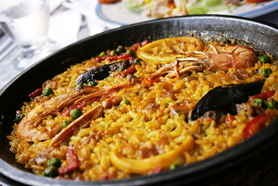 Learn how to cook this original fish and seafood paella rice! 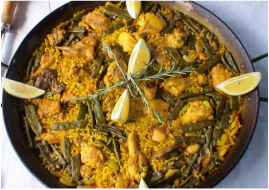 The recipe is very popular along Spain´s Mediterranean coast, from Murcia, through Alicante to Catalonia. The name of the dish ”A Banda ” means ”on the side”. This is because of its pecularity - traditionally the fish and vegetables used in cooking the broth base are served as a second course. 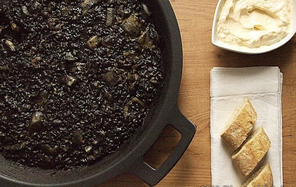 It´s essential to accompany this dish with Allioli sauce, which you will whip us yourself too. Alongside this Paella rice you will learn to prepare a king of summer tapas in Spain: Gazpacho - a cold vegetable soup. Click to select a gift card.